By Amid Amidi | 08/15/2018 2:40 am | Be the First to Comment! 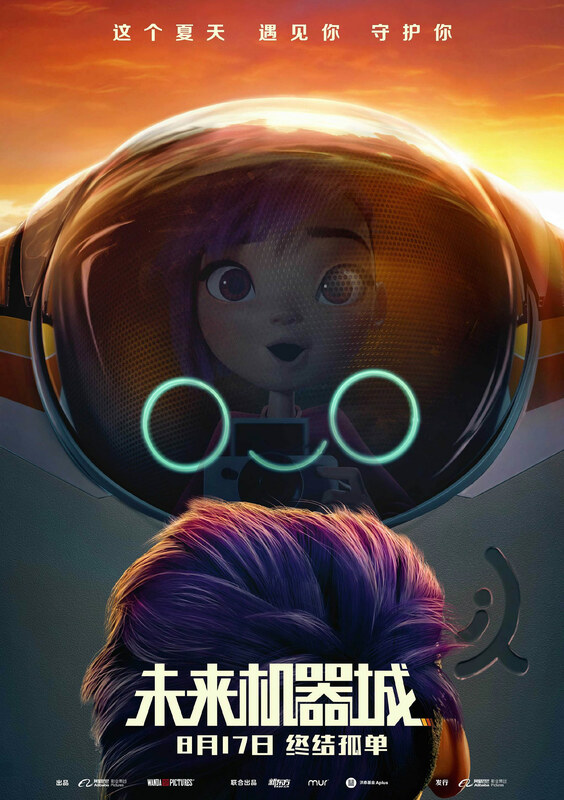 Netflix has released a trailer for the Chinese cg animated feature Next Gen, previously announced in May. 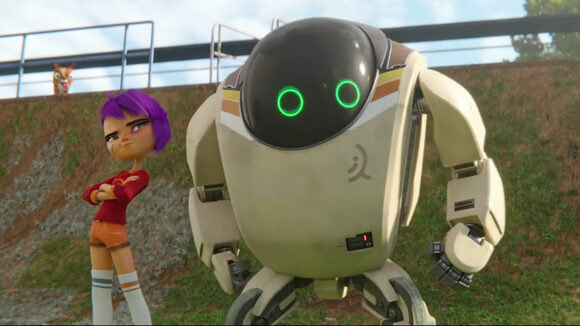 In competitive bidding, the streaming service paid a hefty $30 million for rights to the film, which marks the feature directorial debut of animation and vfx veterans Kevin R. Adams (art director, Free Birds, 9) and Joe Ksander (animation director, Yogi Bear, 9). The film launches on Netflix September 7. The English cast includes John Krasinski, Charlyne Yi, Jason Sudeikis, David Cross, Michael Pena, and Constance Wu. Based on the online comic 7723 by ‘Wang Nima,’ Next Gen was financed and produced by his company Baozou Manhua, which popularized “rage comics” in China. A few months ago, Nima’s online media empire was targeted by Chinese authorities and he was accused of “insulting” and “slandering” the names of Chinese heroes and martyrs. According to this in-depth report on the situation, Nima has offered “profound apologies” for bringing an “unhealthy influence” on Chinese society. The animation for Next Gen was made using Blender software at Canada’s Tangent Animation, which also made the animated feature Ozzy. Here is the Chinese poster. Alibaba and Wanda are scheduled to release the film in Chinese theaters next month.